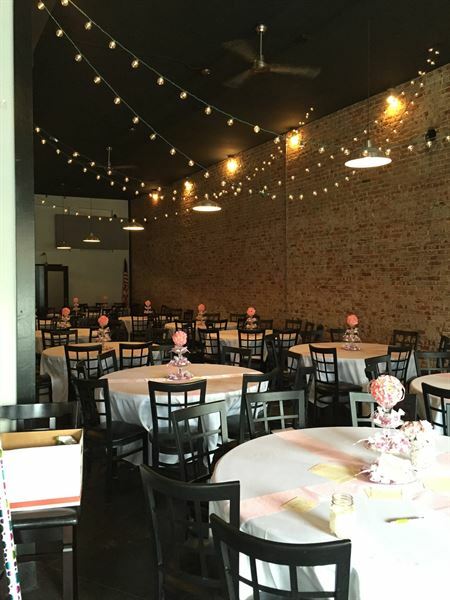 Located in the heart of historic downtown Dickson, TN and set in a beautifully renovated rustic building, Events On Main is the choice for your event venue! With tasteful yet understated decor, Events On Main provides the perfect backdrop for any occasion. Amenities include elegant and stylish banquet seating and tables for up to 150 people. At Events On Main our goal is to provide the best possible venue experience for your event's needs. Special Features: We can run a full bar for your event.